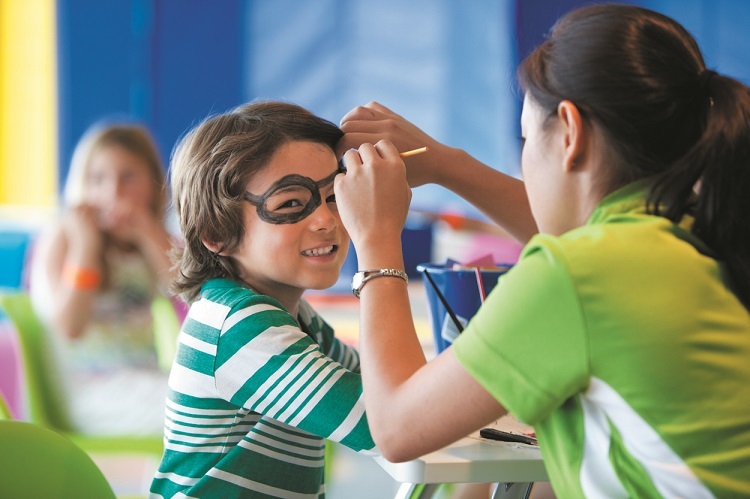 Most cruise ships have kids’ clubs which are included in the price of your cruise – one more reason why a cruise holiday offers excellent value for money! These clubs are also known as youth programmes and are generally split into three to five different age groups. Facilities vary hugely from ship to ship. 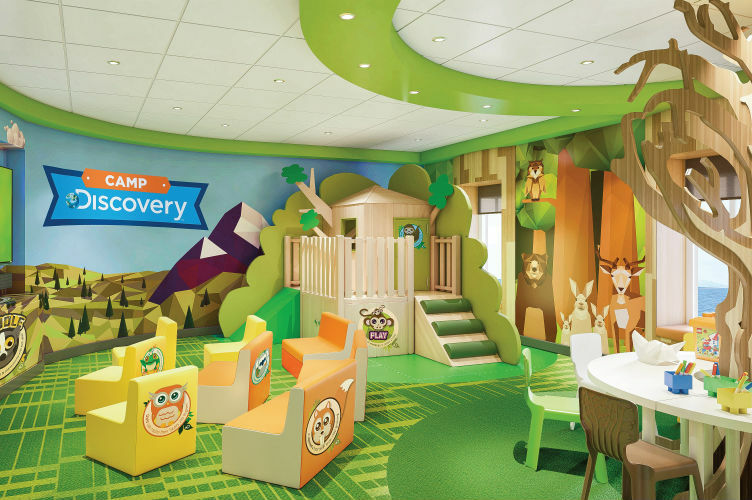 For example, Royal Caribbean’s Oasis-Class ships have children’s sections covering more than 28,000 square feet, whilst facilities on-board some of the small luxury ships may consist solely of a card room which is used as an activity room on cruises in the school holiday period. 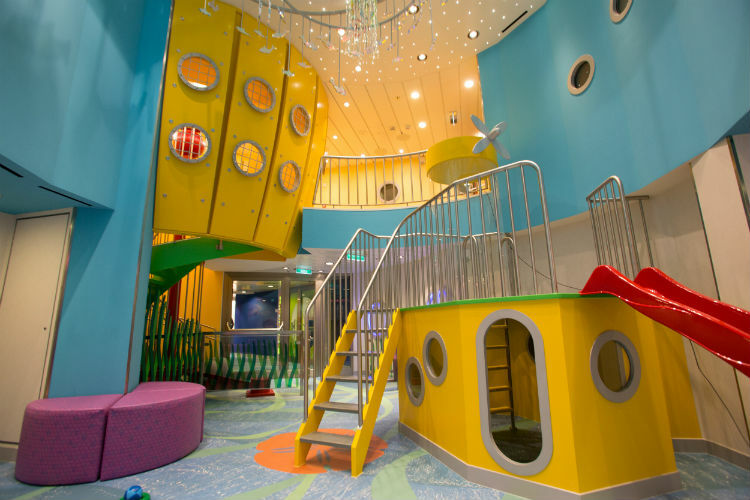 On most of the mainstream family-friendly cruise lines, the children’s facilities are absolutely fantastic – better than you’d find in any hotel. The only problem parents tend to find is that they hardly see their kids’ because youngsters want to spend all their time in the kids’ club! 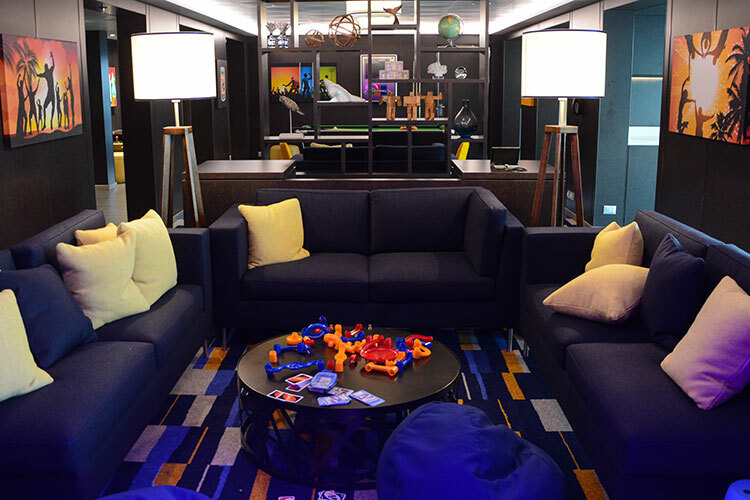 If you’re cruising with children, you can’t go wrong with any of these fantastic kids’ clubs. Plus, babies and toddlers aged six- to 36-months can come along to 45 minute interactive playgroups accompanied by their parents. There’s also a nursey where under threes can be babysat for a fee. Royal Caribbean cruises are also great for children with special needs. If you’d rather your child be in a group based on their ability rather than their age, the cruise line is happy to accommodate this. For kids aged three to eleven, there’s also a ‘Late Night Party Zone’ from 10pm until 2am, where they can hang out for an hourly fee. For 12-year-olds and over, free-of-charge activities are available until 2am. There’s also a ‘Late Night Fun Zone’ from 10.30pm until 1.30am for a small fee. Plus, babies and toddlers under two years can also be dropped off for a few hours each morning for a small fee. Or, parents can stay and play with their tots free of charge. There’s also a Night Owls programme, which is open from 10pm to 1am for a fee. Under threes can use the facilities at certain times if accompanied by their parents. Plus, young adults age 18 to 20 can join Club 1820 – a secret society of events accessible only by a secret handshake and special code word! Late night babysitting is also available from 10pm until 1pm for a small fee. P&O Cruises also offers a complimentary ‘night nursery’ where children between six months and four years can sleep from 6pm until 2am. However, there is no late-night babysitting for other age groups. Are children safe in the kids’ clubs? Safety is extremely important to cruise lines. Each kids’ club has gated access, so people can’t just wander in and out – they have to be buzzed in and kids signed in and out. 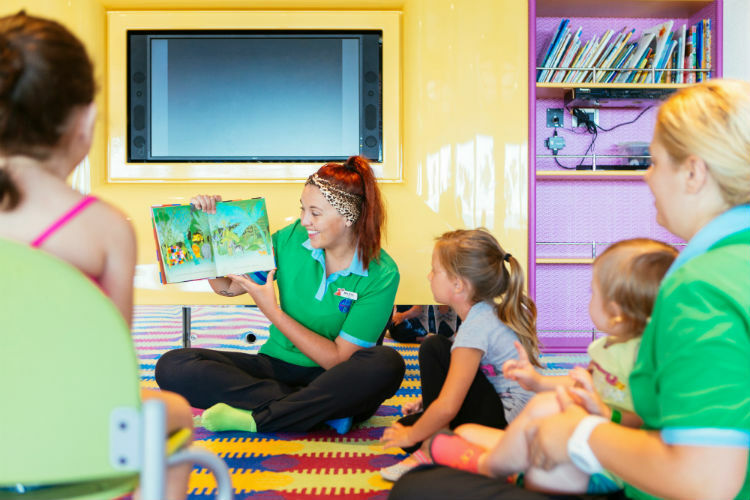 Staff are all highly trained, many to degree level, and undergo strict checks, as well as having to have several years’ experience in working with children before they start working on-board the ship. Youth staff are also trained in first aid, knowledgeable about food allergies and many are experienced in working with children with special needs. 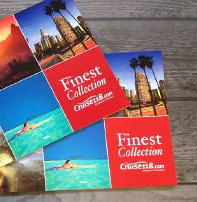 Cruise lines have strict rules which the children have to follow and if they don’t abide they are given a warning, followed by a time-out if necessary. If bad behaviour continues, children may be suspended from the club for 24 hours or banned altogether. Does my child need to be toilet trained to use the kids’ club? The policy on this varies for each cruise line. On-board P&O Cruises and Carnival Cruise Line, youth staff will be happy to change nappies if required. You’ll just need to leave a changing bag when you drop them off. On-board Norwegian Cruise Line ships, staff are not able to change nappies or pull-ups. Instead, parents are given a pager to alert them when their child needs to be changed. Parents then have 15 minutes to get to the kids’ club to assist the child. Can I leave the ship whilst my kids are in the kids’ club? Again, the answer to this varies by cruise line. 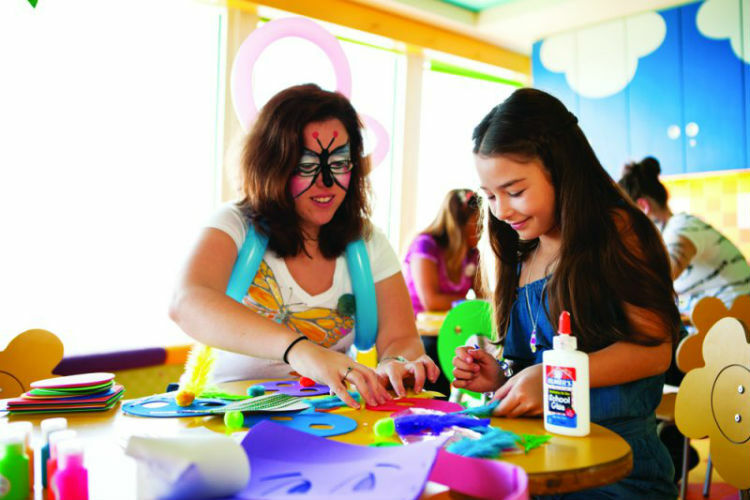 Parents can leave their kids in the kids’ club whilst they go ashore with Carnival Cruise Line, Royal Caribbean and Princess Cruises. This option is also available with Norwegian Cruise Line, unless parents have been given a handy phone or pager, which is usually given for children in nappies or who need help using the toilet. This is because these devices don’t work over a long distance. 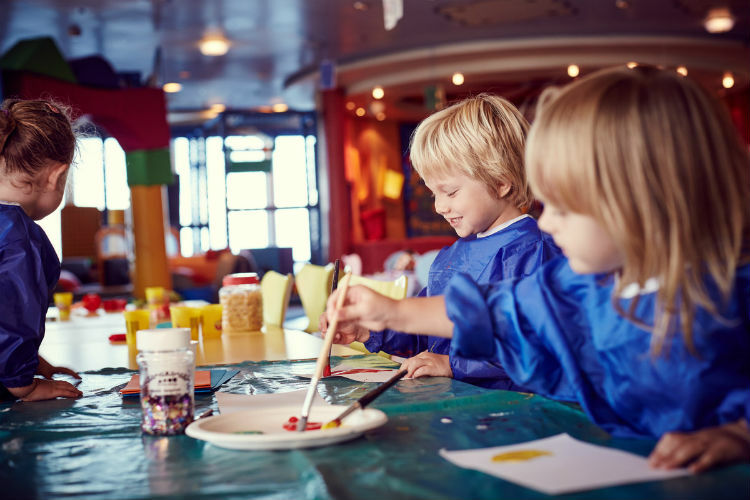 With P&O Cruises, at least one parent must stay on-board at all times whilst their children are in the kids’ club. Are my children guaranteed a place in the kids’ club? Cruise lines generally have policies of only allowing a certain number of children of each age group to book a place on each cruise. That said, it’s certainly worth paying attention to any documentation that you receive and making sure that if you’re required to register your children with the kids’ club before you board, that you do so. For certain extra activities, including evening clubs, places will be given on a first-come, first-served basis, so be sure to register for these at the earliest opportunity and book in advance if required. Can my child join a club for a different age group? The answer to this is almost always no. 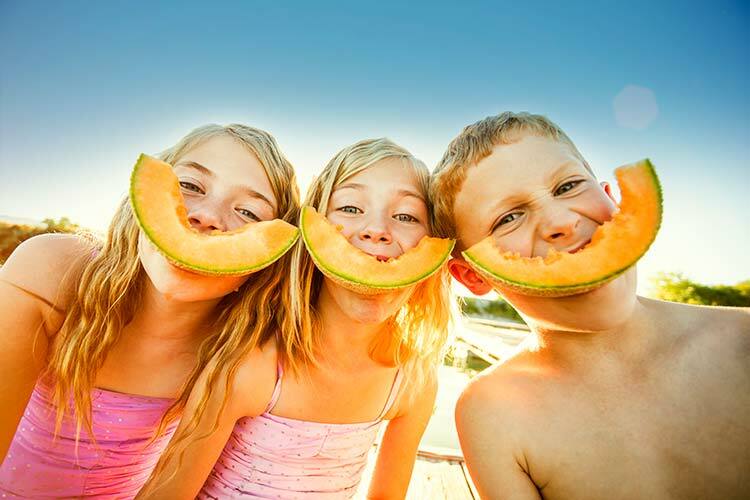 If it’s very important to you that your children are in the same group as their siblings, you may want to look at the age splits for each cruise line and pick one where they can be together. That said, the different groups often combine, particularly on cruises outside of the school holidays when there will be fewer children on-board. And if siblings do miss each other, there are plenty of activities outside of the kids’ club which you can enjoy as a family. Royal Caribbean is slightly different in that they sometimes group on ability rather than age, to ensure that children with special needs are well-catered for. Can children sign themselves in and out of the club? Older children can sign themselves in and out of the youth facilities – a feature which teenagers particularly enjoy as it gives them a sense of freedom. The age at which children can sign themselves out varies, with it being as young as nine on Royal Caribbean and Carnival Cruise Line ships. However, it’s ultimately up to parents, as parents have to give permission for children to sign themselves out. If you don’t want your nine-year-old to be free to leave the club and roam the ship by themselves, make sure you pay attention to which boxes you tick on the registration form. 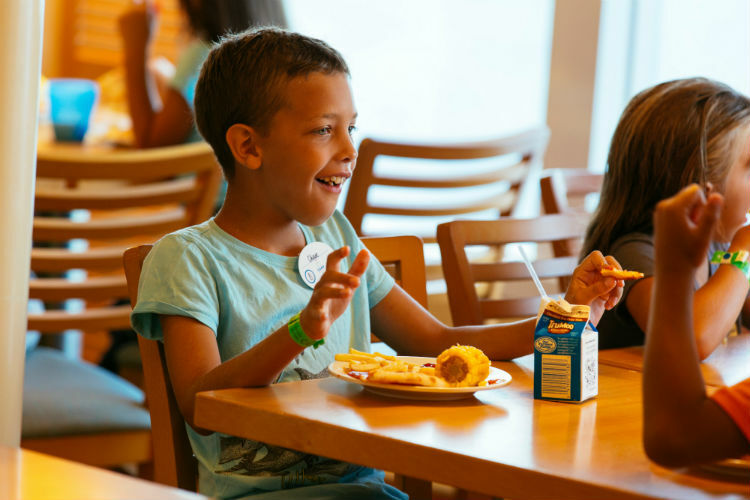 Do you have any questions about cruising with children? If so, let us know in the comments below and we’ll do our best to answer them. If you’d like to chat in more detail, our team of expert Cruise Concierge are on hand to help with every aspect of planning your cruise holiday, so please don’t hesitate to give us a call on 0808 1234 118. How many drinks do you have to drink to get your money’s worth from your package? Is it time to call time on cruise tips?